Lagos (AFP) - Outgoing Nigerian President Goodluck Jonathan said Sunday that some of his friends deserted him shortly after he conceded defeat to his rival General Muhammadu Buhari in the March election. Jonathan publicly conceded defeat to Buhari on March 31, a decision which was commended by local and foreign commentators and doused tension in the country. "Some hard decisions have their own costs. No doubt about that. 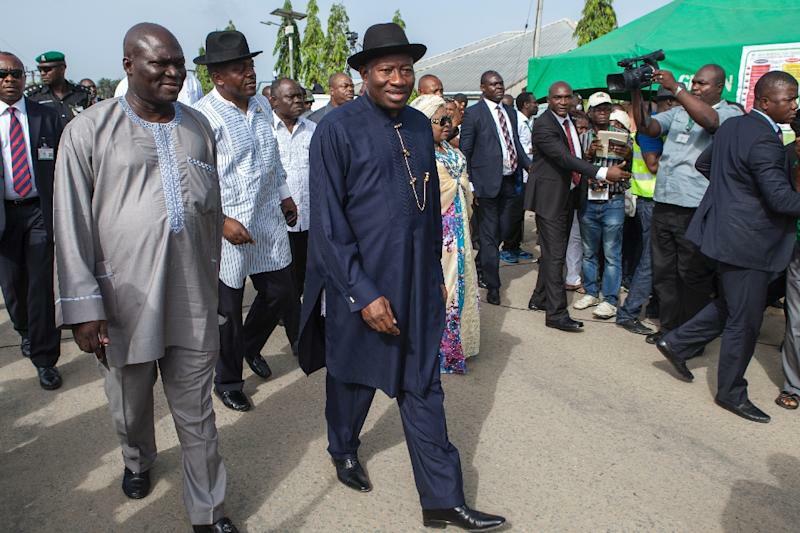 It is a very costly decision but I must be very ready to pay for it," Jonathan said during a farewell church service in Abuja. Jonathan's public admission of defeat in the nail-biting election came more than six hours after he rang Buhari to concede, earning him widespread praise for statesmanship. "If you take certain decisions, you should know that people close to you will even abandon you at some point. I tell people that more of my so-called friends will disappear." Many party faithful and erstwhile loyalists of Jonathan have either crossed over to Buhari's All Progressives Congress or made harsh statements against Jonathan's party or its leaders. Jonathan said he was not surprised by the desertions or statements by his former loyalists, adding that former South African president Frederik de Klerk faced a similar situation when he decided to abolish minority rule in that country. Jonathan said that de Klerk's marriage to his wife, Marike, broke down after he took that decision. "But that is the only decision that made South Africa to still be a global player. If by this time w still have minority rule in South africa, nobody would have been talking about South Africa in the present generation," he said. He said that ministers who served under him should brace themselves for "persecution" following his loss and his decision to concede defeat. Buhari, a former military leader, is scheduled to be sworn into office on May 29.